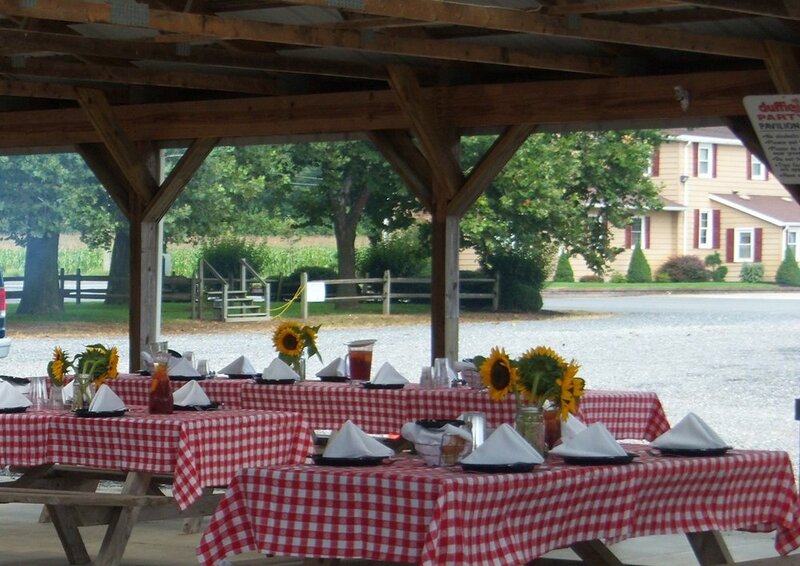 Don't do your house any harm, have your next party on the FARM! While on the hayride, each child will stop in the Pumpkin Patch and pick a pumpkin! FALL Package #4 Package 3 plus each child will get a hot dog or slice of pizza & choice of two beverages by the pitcher or juice boxes. Package #4 Package 3 plus each child will get a hot dog or slice of pizza & choice of two beverages by the pitcher or juice boxes. $200 rental fee for a two-hour time slot includes 1/4 section of pavilion space rental only. Bring your own decor. Contact us for event tips, party food orders, celebration cakes, baked goods and other party needs.